"There is no end in sight to the rising price of new low-rise homes relative to high-rise condominiums in Canada’s largest city, say Toronto builders. 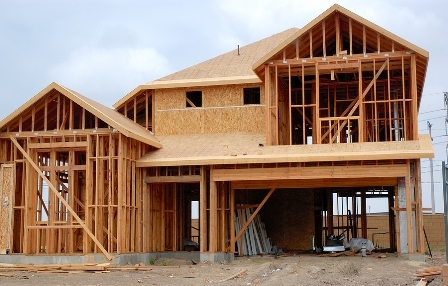 A new report from the Building Industry and Land Development Association says the average price of a new low-rise home, which includes detached, semi-detached and townhomes, was $783,995 at the end of May. That’s a 16 per cent jump from a year ago. Meanwhile, the average price of a new high-rise condominium was $440,463, relatively unchanged from a year ago. The gap between the average new high-rise and low-rise home jumped $100,000 from a year ago and now sits at a record $343,492. There were 5,198 new low-rise homes available to buy in the GTA at the end of May, up slightly from the record levels at the end April. But the current amount is just 20 per cent of total new-home inventory which BILD says illustrates the state of the low-rise housing supply. Critics have suggested government policies aimed at intensification have created a shortage of detached homes and other low-rise housing, helping to drive prices to record levels across the GTA. This month, the Toronto Real Estate Board reported that the average sale price of an existing detached home in the city of Toronto was $1,115,820 in May, an 18.2 per cent increase from a year. Across the GTA, the average existing detached home sold for $829,792 last month, a 14 per cent increase from a year ago. Existing detached home prices have been climbing steadily too, up 11.1 per cent in May from a year ago to an average of $598,884 for the GTA. Existing townhouses sold for an average $477,753 across the GTA last month, a 10.7 per increase from a year ago. Like in the new home sector, existing condo prices have not been rising as rapidly. The average condominium sold for $391,901 in May but that was only a 5 per cent rise from a year ago. This month, the Toronto Real Estate Board reported that the average sale price of an existing detached home in the city of Toronto was $1,115,820 in May, an 18.2 per cent increase from a year. Across the GTA, the average existing detached home sold for $829,792 last month, a 14 per cent increase from a year ago."